Panel discussion on the topic of Arab participation in recent social uprising in Israel.  Panelists include Dov Waxman, author of the recently published “Israel’s Palestinians: The Conflict Within” ; Filmmaker / Political Activist Noa Maiman, Tel Aviv City Council Member Tamar Zandberg, and filmmaker Ibtisam Mara’ana. The Other Israel SpeakEasy Cafe is back Nov. 12 through Nov. 16, with non-stop intimate conversations and in-depth discussions with filmmakers, scholars and experts. Join Filmmaker Mohammad Bakri and Prof. Ella Shohat, Author of author of the groundbreaking “Israeli Cinema: East/West and the Politics of Representation” (1989; New Edition was recently published by from I.B. Tauris) in conversation about the new voices in Palestinian cinema in Israel. Storytelling from Deborah Da Costa’s book about Avi and Hamudi, two boys who live in Jerusalem’s Old City and are unknowingly caring for the same beautiful white stray cat. A screening of Kikuo Kawasaki’s feature drama, David & Kamal. The festival kicks off with a gala event featuring opening remarks by festival founder and special guests, followed by the NYC premiere of Dolphin Boy, in the presence of filmmakers Dani Menkin and Judith Manassen Ramon, and protagonist Dr. Ilan Kutz. Screening to be followed by an exclusive reception with guest filmmakers and honorees. Join the New Israel Fund’s New Generations and other young leadership groups for a Shabbat dinner and intimate discussion on activism in Israel with festival guests Dani Menkin, Noa Maiman and Ibtisam Mara’ana. A selection of photographs taken by Arab and Jewish high school youth in Israel, as part of a project of Givat Haviva, using photography as a means to explore questions of identity and co-existence. The festival comes to a close with a special limited presentation of the award winning film My Lovely Sister, followed by a dessert reception. Join Other Israel and The Taub Center for Israel Studies at NYU in special presentation of festival favorite Dolphin Boy, followed by panel discussion with producer Judith Manassen Ramon and protagonist Dr. Ilan Kutz. Join Other Israel and The Taub Center for Israel Studies at NYU in special presentation of festival favorite 77 Steps, followed by panel discussion of the recently published book Israel’s Palestinians, The Conflict Within with the co-authors Ilan Peleg and Dov Waxman and the director of 77 Steps, Ibtisam Mara’ana, and other particiants. A photo-documentary project which examines contemporary visions of Arab society in Israel focusing on young Arab men and women at the pivotal age of 18 years old.